Don't waste your efforts on a fake GED. When you decide to get a GED, or General Educational Development test, the reasons why you did not originally finish high school no longer matter. You are giving yourself a valuable tool that will serve as a springboard to college or a better job. But what if the GED you thought you received was actually a fake -- and worse, you find out when applying for college or your dream job? When obtaining your GED, arm yourself with the information that will protect your hard work -- and your reputation. 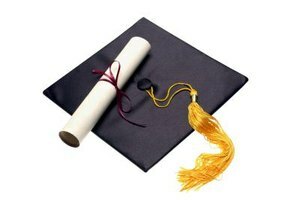 Beware of programs that promise a diploma in a short period of time. Getting your GED in a few days or one week is unrealistic. Preparing for the test, gathering information from your local GED testing center, and then waiting for the test results will take a few weeks at the very least. Contact your local testing center to obtain practice testing materials. To find a testing center near you, use the GED Testing Center search feature from the American Council on Education website (see References). Drop the GED program if it promises you better grades. This is a tell-tale sign the diploma you ultimately receive might be a fake. The only entity that can promise you a stellar grade on the GED is you. Never take a GED test online. The one place where you are guaranteed to take an authentic, official GED test is at a GED testing center. More than likely, there is a local testing center near you. 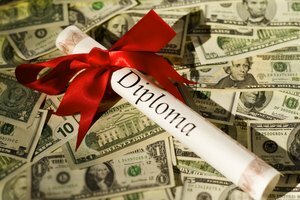 A GED test taken online is a scam. 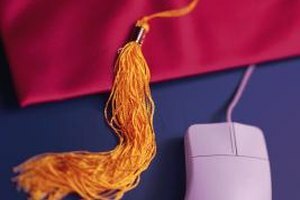 Double-check the school's accreditation if you are taking a GED test from an online high school program. If you are also applying for college, check with the admissions staff to see if the college will accept a GED diploma from this program. If you're nervous about taking the GED, consider trying a practice test first, so you have an idea of what to expect and how to prepare. Your local GED testing center offers information and resources to help you properly prepare for the GED. Avoid taking a GED test from an establishment that is not a member of the Better Business Bureau. Margiotta, Christine. "How to Tell If a GED Is Fake." Synonym, https://classroom.synonym.com/tell-ged-fake-7908042.html. Accessed 24 April 2019.